Today, we are going to briefly introduce you to both of these services and after that we will discuss how to enjoy these services as well. 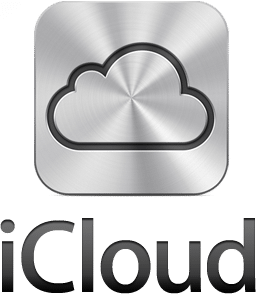 What is iCloud and it’s Use? When we talk about the iCloud, it is the latest computing service from Apple and it is basically a cloud storage service. Apple has previously introduced similar services but this one is completely new and innovative and full of features. It will provide you storage capacity on the cloud and you will be able to store all your music files and other files on this cloud. It means that if you don’t have much space on your iPhone or the iPad, you can always save all the extra stuff on the iCloud and later when you need it, you can access it online and you can even stream the content directly from the cloud which is one of the amazing features offered by the iCloud service. You can even backup all the settings and data of your iPhone or iPad on the iCloud, so if something happens to your device; you can recover everything as it was after that without connecting to your computer. It also means that if you are travelling, iCloud will completely replace all the activities you will need from computer storage as it can store almost every type of file. How does ‘Siri’ Help You? On the other Siri is voice recognition personal assistant for your iPhone. Siri is basically an abbreviation for Speech Interpretation and Recognition Interface, which means that it will be able to perform all your day to day tasks more efficiently. You can ask so many questions from this app, like what is the weather in your location, what is the best restaurant in the area and much more. You also set up alarms, reminders and even send out text messages and emails by just talking to your phone. So, now we know that both of these services are very amazing as well as innovative that is why most people around the world prefer to have an iOS device. But the problem with these services is that these are not released for all over the world. It means that if you are living outside the US then you might not be able to run these services. So, to use iCloud and Siri, you will need to get a VPN connection for your iPhone. Use VPN to Access iCloud and Siri World Wide! A VPN connection will provide you a US IP address and hide your original IP address and that is how Apple servers will think that you are accessing from US and you will be able to run both of these services without any trouble. VPN connection is easy to setup on any device and has many additional benefits like access to other banned or geo restricted websites. Here are some of the best VPN providers that will allow you to run Siri and iCloud on your iPhone from outside the US.